The Osprey Process offers a unique combination of low-cost manufacturing with enhanced properties and performance and, as process scale-up proceeds, is becoming established as a major metal-forming process competing with and gradually taking markets from the existing technologies of casting, ingot metallurgy, electrode remelting processes, and powder metallurgy (P/M). The cost benefit derives from the single-step operation of converting molten alloy directly into a semifinished product. The property benefits arise from rapid solidification, which promotes microstructural refinement and eliminates macro segregation. The range of products currently being manufactured covers a broad spectrum of shapes, alloys, and markets, including round billets, tubes, rings, and clad products; aluminum-, copper-, nickel-, iron-, and silicon-based alloys; and automotive-, electronic-, aerospace-, and general engineering components. Aluminum-alloy billets. 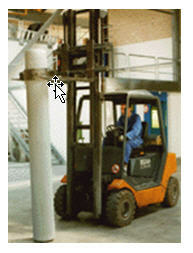 Peak is manufacturing Al-Si alloy billets for subsequent conversion into cylinder liners for use in automotive engines. 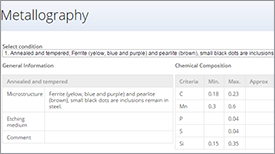 More specialist, high-strength (Al-Zn), high-temperature (Al-Cu), and light-weight alloys (Al-Li) and metal-matrix composites (MMCs) are produced at Osprey Metals, mainly in conjunction with Peak. Kobelco has also recently announced the commercialization of special aluminum alloys for use as sputter target materials. Copper-alloy billets. One of the main products for which there is considerable growth potential is electronic connectors, particularly for use in "high-tech" telecommunication applications. Spray-formed connectors produced by Swissmetall are already starting to replace wrought Cu-Be alloys and P/M Cu-Ni-Sn alloys. Super alloy rings. Rings, seals, and cases for use predominantly in aircraft gas-turbine engines are being manufactured by Spray form Technologies International (Howmet/Pratt and Whitney joint venture company). Silicon-aluminum alloys. A unique series of alloys are being produced by Osprey Metals for use in electronic packages, heat sinks, and other applications where lightweight materials with a low coefficient of expansion are a requirement. Due to the single-step processing cycle, spray-formed aluminum alloys can be produced at substantially lower costs than P/M products, approaching cost levels of direct chill (DC) cast alloys at high production volumes. 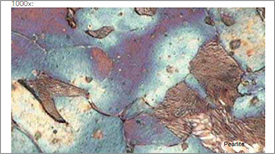 Moreover, critical properties such as fatigue life and fracture toughness are often improved as compared to P/M, mainly as a result of the absence of oxide contamination. While the properties of conventional DC cast alloys have also been demonstrated to be significantly enhanced by spray forming as a result of microstructural refinement, it is the ability to produce alloys not possible by ingot routes where the most dramatic improvements can be gained. 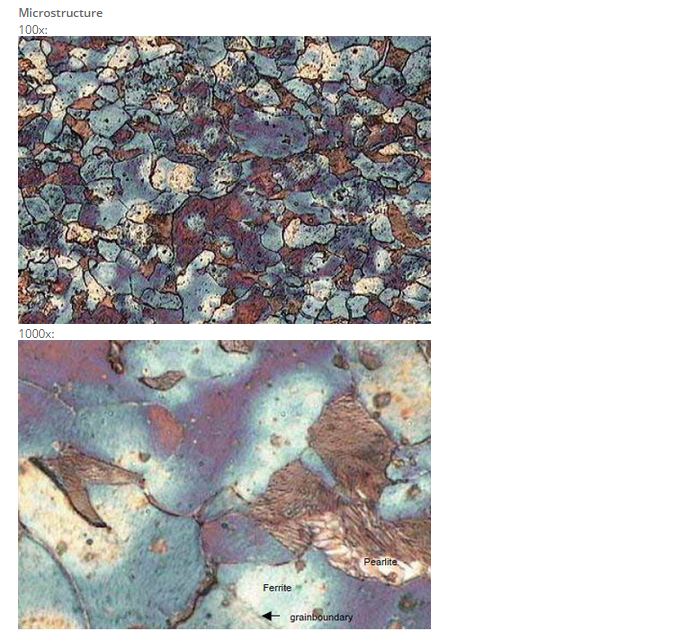 Hypereutectic Al-Si alloys exhibit refined silicon particles on the order of 3–5 µm in the as-sprayed condition as compared to hypereutectic alloys produced by casting, where primary silicon particles are much larger, often approaching 100 µm in size or more (Figure 3). 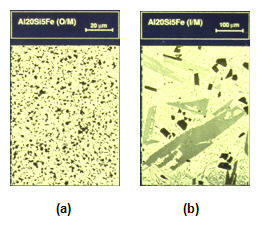 Figure 3: An Al-20Si-5Fe alloy (a) spray formed and (b) cast. 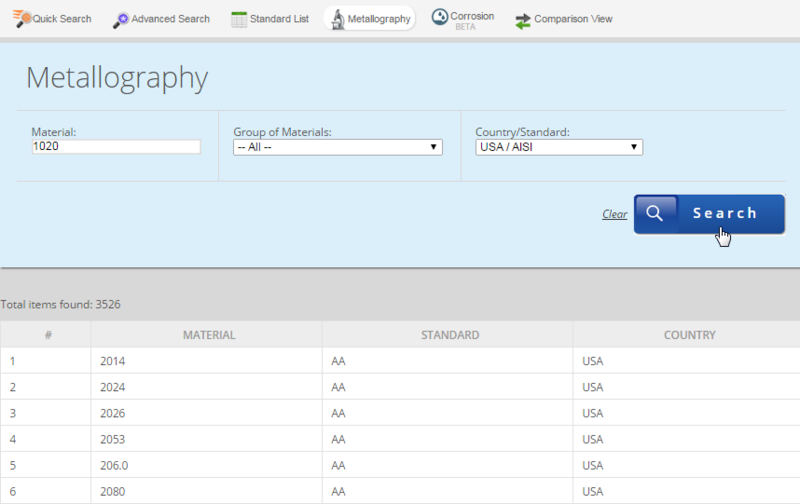 Al-Zn-Mg-Cu alloys have traditionally been the highest strength alloys, but further increases in strength are restricted by the occurrence of macro segregation in large ingots as well as difficulties in ingot casting when solute contents become too high. Spray forming overcomes these problems, and 7XXX alloys exhibiting the highest strength levels of wrought aluminum products with excellent fracture toughness and high cycle fatigue properties are being manufactured. 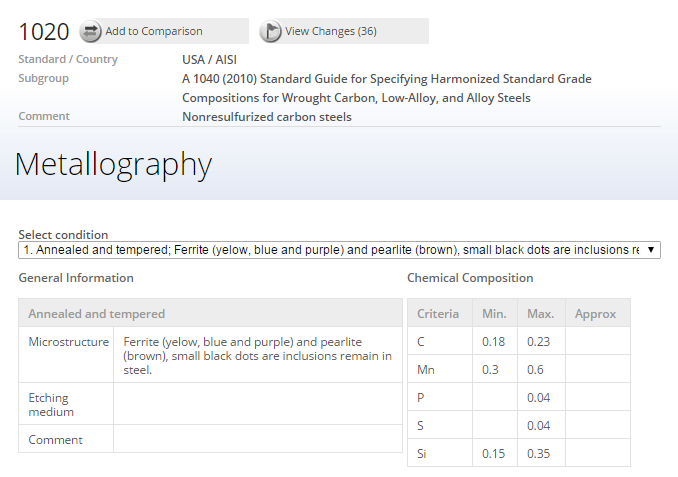 The nominal composition and properties of one alloy that is currently registered with the Aluminum Association is shown in Table1. The high strengths enable the replacement of conventional alloys such as 7075, as well as titanium and steels, in some cases. Potential applications include aerospace components and sports-related automotive products, such as axle carriers, racing wheels, and connecting rods for high-performance engines. 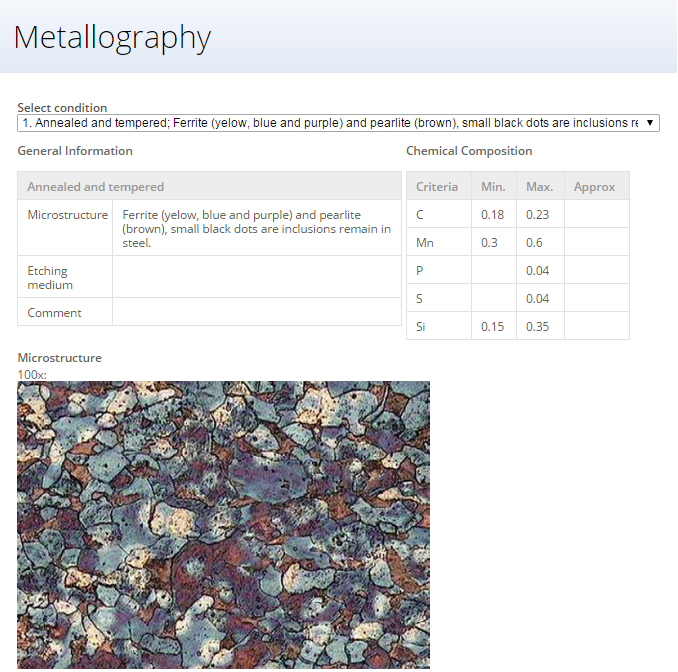 One limitation to conventional Al-Li alloys is the anisotropy exhibited by products manufactured from ingot-metallurgy source material. Through the refined grain structure produced by spray forming, Al-Li alloys with improved isotropy have been demonstrated. In addition, the Osprey process enables higher lithium contents to be added to the alloy without the problems of ingot cracking and macro segregation that occur in ingot casting. Specifically, a binary alloy with nominally 4 wt. 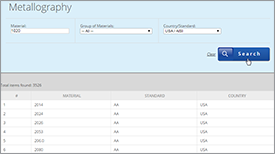 % lithium has been developed with densities as low as 2.4 g/cm3 and with specific stiffness levels more than 30 percent higher than conventional aluminum alloys (Table I). With moderate strength and good corrosion resistance, this ultra light alloy is suitable for applications where low weight and specific stiffness are paramount, including space and aircraft parts as well as high-performance automotive wheels. 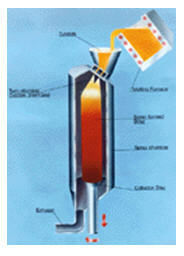 Figure 4: The Osprey vertical billet process. Figure 5: An Al-Si spray-formed billet (300 mm diameter x 2.5 m long) (courtesy of Peak). 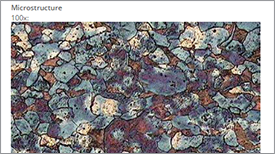 Al-Cu-Mg-X alloys with improved elevated temperature strength coupled with good wear resistance in comparison to conventionally cast alloys have been demonstrated. Spray forming enables an increased level of fine dispersoid particles to be incorporated into the alloys without the occurrence of coarse primary particles that are often seen if high alloy contents are produced by ingot casting. These materials have been examined for elevated-temperature aircraft components as well as selected automotive applications, such as pistons, especially in racing applications. Alloys with further improvements in high-temperature properties are under development at Pennsylvania State University utilizing the rapid solidification inherent in spray forming to produce materials with a high content of aluminum intermetallics. MMCs, in which the matrices are reinforced with ceramic particles up to 15% by volume, have been spray formed. These MMCs exhibit greatly increased stiffness and wear resistance with little cost penalty. As an example of the potential for large-scale manufacturing by spray forming, Peak is currently producing more than 3,000 t/y of hypereutectic Al-Si alloy in three plants in Europe. All three plants operate on the vertical billet plant principle (Figure 4), with the most recent, state-of-the-art facility being designed for spray forming billets up to 2.5 m long x 150–400 mm diameter (Figure 5). The major application for the Al-Si alloy is in the manufacture of cylinder liners for use in Daimler-Benz automotive engines, although other car manufacturers are expected to take up the technology in the near future. The alloy used for the liners is Al-25Si-4Cu-Mg and has been specifically developed by Peak to provide the required properties and performance levels. The manufacturing cycle for the cylinder liners includes spray forming, seamless tube extrusion, rotary swaging, and sectioning into liners. 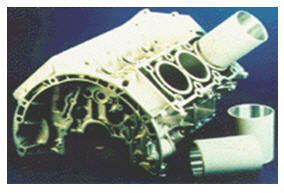 Figure 6: A high-pressure die cast engine block with spray-formed Al-Si cylinder liners (courtesy of Peak and Daimler-Benz). The engine block is then high-pressure die cast around the liners (Figure 6). The liners, which are being used to replace a cast product (i.e. gray cast iron) in aluminum engine blocks, offer several significant advantages over the conventional product, including a reduction in engine weight, reduced oil consumption and hydrocarbon (HC) emissions (up to 30% less), increased engine power and efficiency, reduced friction and piston wear, reduced noise, and good machinability and ease of recycling.